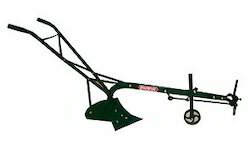 Our product range includes a wide range of ox plough and animal driven farm implement. Relying on our wide experience and skills in this field. we are noted as one of the most prestigious manufacturers, exporters and suppliers of Animal Driven Plough/Ox Plough. These are made with concept which reduces the load for farm and agricultural animals. Available in latest and rugged designs these can be availed as per the needs and requirements. 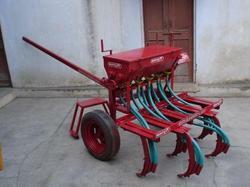 These are used in sowing, farming and many other farm activities. Animal Driven Plough/Ox Plough can be used in all types of weather. With the help of our distinguished professionals. our company has been able to mark its strong presence in the market as one of the well known manufacturers and exporters of Animal Driven Farm Implement. With the use of best and optimum components we give you a top notch variety for these agricultural equipments. We are known to produce a quality famous for its rugged designing, accurate performance and best agricultural yield. Animal Driven Farm Implement are available in specific customizations.